The A- and B-Class have garnered enough numbers so far to urge Mercedes-Benz India to launch special celebration editions of these models. But it is not only at the lower rung of the price point where the celebrations are rife - at the top the new Mercedes-Benz S-Class (V222) has been playing its own happy tune with waiting periods running into months. 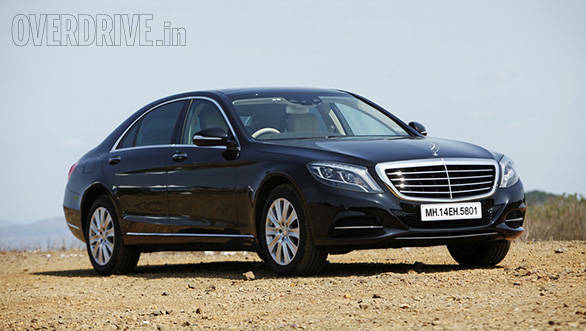 Interestingly, the S-Class will now make dealers grin wider, thanks to the new, sensible, diesel variant  the S350 CDI. Though sensible, it still wears the same expensive suit as the S500, but with lesser accessories. So while the rear bumper is basic and trades in the chrome-plated exhaust pipes for hidden mufflers, you still get the all-LED taillights and headlights. In fact, all lighting in the car strictly uses LEDs. The wheels are smaller and wear a simpler 10-spoke design that will remind you of the V221 S-Class. Look closely and you will also notice that the grille is simpler too since there are no cameras sticking out of it. But all said, the 'S350' and the 'CDI' tags on the boot are the only visual differences that you are likely to notice. The game of spotting the differences gets trickier when you enter the S350 CDI. Our test car came with the same tan and beige interiors as our S500 tester from January 2014. This combination gets dark wood inserts and is the trim of choice on the S350 with white or black exterior colours. The silver or grey coloured vehicles get black interiors. The COMAND infotainment system can be controlled using the rotary dial only as the party-piece touchpad remains an S500 exclusive. The S350 retains the two tablet-style display units across the dash and the dashboard fascia is almost similar as the lack of a few features from the S500 means there are lesser switches. The most notable absentees are the push-button starter and the toggle for the night-vision assist as the grille-mounted infrared camera doesn't exist in the S350 CDI. Speaking of cameras, even the tiny lenses on the outside rear-view mirrors are missing  so no bird-eye / 360-degree view either! What you get instead is a reversing camera that shows up on the left hand side display, accompanied by a proximity warning displayed on the virtual instrumentation. The automated parking assist has been retained but it refused to work as intended when we tested it. In the hot and humid Mumbai weather, the climate control was working on full steam for most part of the test and the blower tends to get noisy. However, it does its job pretty well. The front seats of the S-Class lose out on their cooling function, but mysteriously retain the heater. So if your chauffeur has been paying more attention to crushing candies than dodging potholes, you know what button to push! 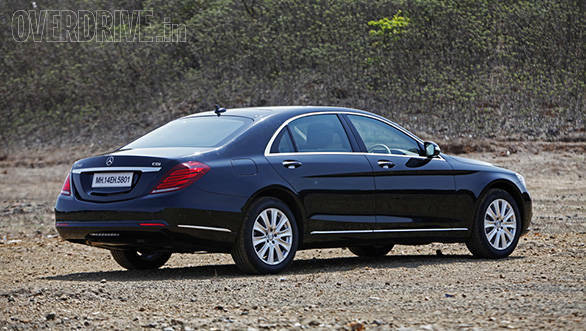 The back seat of the S-Class is where all the fun lies and Mercedes-Benz have retained that even with the S350 CDI. The much talked-about chauffeur package which gives you aircraft-grade seating comfort is on the list of standard equipment. The rear seat therefore gets a reclining function, cooling and heating and Class-defining legroom for the rear left seat. 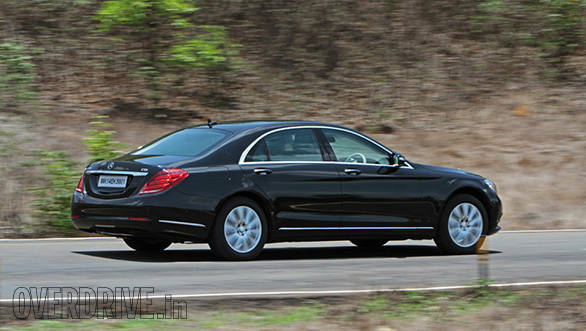 The two seats at the rear are slightly different from the captain seats seen in the S500. The S350's centre arm-rest is equipped with cup holders and cubby holes, but can also be retracted to form a make-do backrest (with headrest) for a third passenger - comfortable provided the third passenger is under six years of age or a tiny, little woodland creature. The larger seats miss out on the folding tables but retain the individual massagers and infotainment screens. Like the front, there is a dual zone climate control system at the back too. The ride quality of the S350 CDI seems slightly better than the S500. At an 18-inch diameter, the wheels are smaller than the S500's 19-inchers and therefore employ higher tyre profile with their 255/45-section rubber. The electro-hydraulic suspension system impressed us quite a bit in the S500 and it adds a few more brownie points with the S350. While audible thuds and judders notify you of the undulations in the road surface, most of them are ironed out pretty well. The moment the front wheels encounter an undulation, the rear suspension reacts within microseconds to prevent the shock, from reaching the rear seats. It contributes towards the 'floating' ride that works great in the city and on the highway, but around the twisties, it can make you feel groggy  more so if you are staring into the infotainment screen. Stretching your feet and sinking into the seat is a better option. Falling asleep within minutes of doing that seems to be standard, because it happened to everyone I tried it on during our test, and I was no exception. Should you choose to drive than enjoy the rear seat comfort, the S350 CDI will impress you with its performance and refinement. The 3.0-litre V6 diesel motor is quiet and makes use of twin-turbocharged induction to produce a virtually lag-free torque of 620Nm, which is available between 1600-2400rpm. 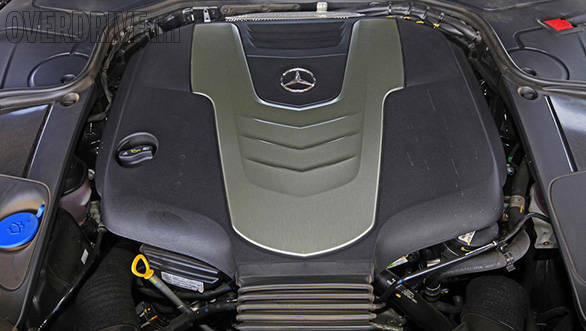 The rated power output of the engine is in the range of 260PS and claims to push the S350 from naught to 100kmph in 6.8 seconds. Though it is pretty quick for a 2.1-tonner car, what really impresses is the ease with which the S350 drives. Even a small dab of the throttle is enough to pull overtakes quickly. You never need to rev too high to reach highway speeds either. The suspension and the tyres feel composed at speed and around bends and though the S-Class is not meant to rocket out of corners, it doesn't deny doing it either. 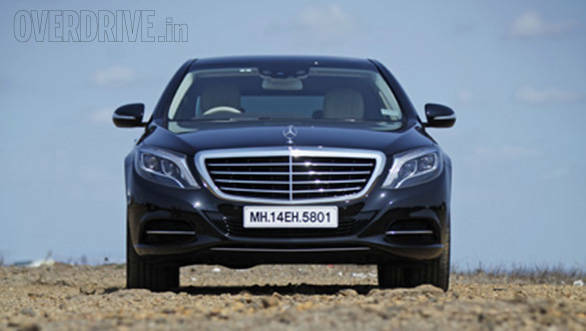 By the end of our test, the S350 CDI returned a fuel economy of 12.2kmpl on the highway and 8.6kmpl in the city. Those figures are impressive for a car of this caliber, size and weight. What is more impressive though is the way the S350 CDI has been put together. It does lose out on some driver-friendly features, but for those who enjoy leaving the driving part to their chauffeurs, missing features like night vision and a 360-degree camera won't matter. 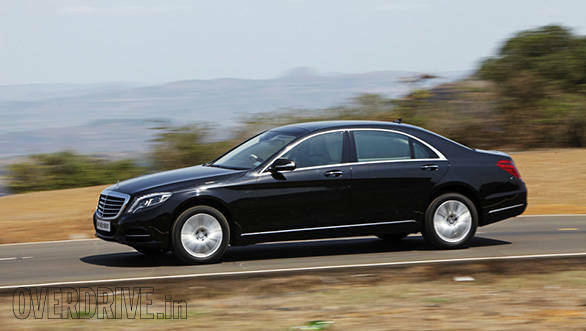 With a price advantage of Rs 25 lakh over the S500, the new S350 CDI owners could definitely exercise that option.